Solving of a problem for systems subjected to random series of impulses is aimed at determining an approximate distribution of the strength of stochastic impulses forcing vibrations of an oscillator with damping. The difficulties that arose in connection with interpretation of experimental data forced us to search for a mathematical model, where algorithms were applied based on precise solutions. Under appropriate assumptions regarding random variables: the time of action of impulse and their strength, the deviation of the oscillator from its balanced position is a process which, in the limit as time tends to infinity, is stationary and ergodic. 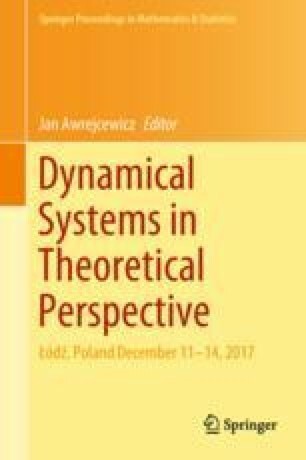 At the first stage of the simulation study discussed in this paper, classification of the elements of the structure of statistical series is necessary. The work was inspired by attempts at constructing a measuring device that would control granularity of the medium in a dust pipeline. The device had to signal appearance of big or small particles in excessive quantity in the transported dust. The project described in this paper has been executed within the project No. 11.11.130.955. This research was supported in part by PLGrid Infrastructure.